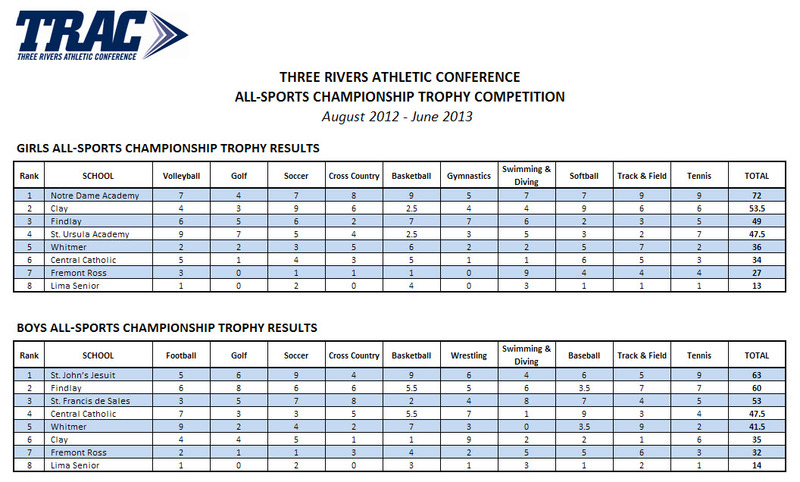 2012-13 TRAC Boys and Girls All-Sports Championship Winners – TRAC Sports – The Official website of the Three Rivers Athletic Conference. For the second consecutive year Notre Dame Academy was awarded the Three Rivers Athletic Conference All-Sports Championship Trophy. The Eagles captured back-to-back league titles in cross country, tennis, basketball, and track and field and finished as the runner up in volleyball, soccer, swimming and diving, and softball for the 2012-2013 academic year. Accumulating 72 total points, Notre Dame outdistanced other TRAC member schools by almost 20 points. Clay finished in second place in the All-Sports Championship final standings with 53.5 points followed by Findlay (49 points), St. Ursula Academy (47.5 points), Whitmer (36 points), Central Catholic (34 points), Fremont Ross (27 points) and Lima Senior (13 points). St. John’s Jesuit narrowly beat out defending champion Findlay to capture the boys TRAC All-Sports Championship awards. 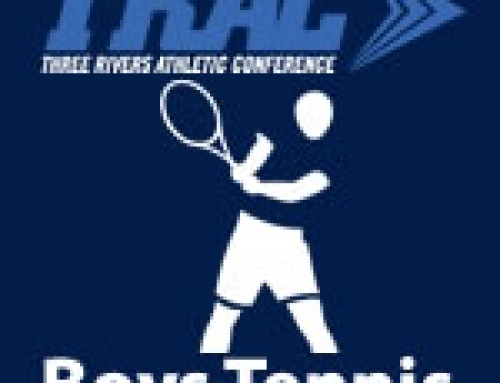 The Titans claimed conference titles in soccer, basketball, and tennis. St. John’s finished as the runner-up in golf but placed no higher than third or fourth in the other varsity sports. St. John’s Jesuit accumulated 63 total points to edge out last year’s All-Sports Champion Findlay by a mere three points. St. Francis de Sales placed third with 53 points followed by Central Catholic (47.5 points), Whitmer (41.5 points), Clay (35 points), Fremont Ross (32 points), and Lima Senior (14 points). 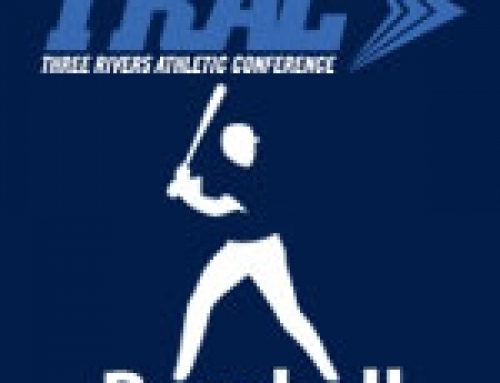 The TRAC All-Sport Championship Trophy is a rotating trophy that is awarded to the Three Rivers Athletic Conference member school accumulating the most points in varsity contests during the academic school year. A trophy is awarded to an individual school for boys and girls sports respectively. 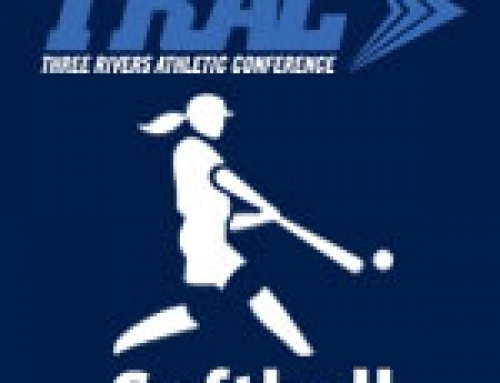 Points are awarded to schools based upon the final conference standings in each recognized TRAC varsity sport.